This article first appeared in The Edge Financial Daily, on May 22, 2017. Our concierge: Satish Gaikwad at the Taj Mahal Palace. Built in 1903, the Taj is as much landmark as hotel, overlooking the Gateway of India and the Arabian Sea in India’s frenetic second city. Eating and drinking: The city is full of restaurants and bars, but I’d direct guests to Mumbai’s few remaining Irani cafes, historic street-corner spots unique to Mumbai and nearby Pune, serving Parsi and Iranian food, and traditional tea. Sights to see: For something different, visit the cow and animal shelter at Bombay Panjrapole near Bhuleshwar bazaar or the open-air communal laundry at Dobhi Ghat. 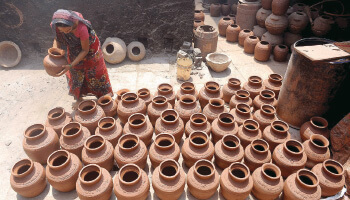 I also recommend seeing the potters at work at Dharavi, one of Mumbai’s biggest slums, and the heritage village at Khotachi Wadi in south Mumbai, with its wonderful Portuguese architecture. Something different: It’s worth exploring parts of the city by foot, particularly on designated walking routes such as the Fort Heritage Trail. Consider morning trips to Mumbai’s fishing docks, the caves of Elephanta Island or follow a day in the life of a “dabbawala”— a lunch box delivery man — to get an insight into how thousands of hot meals are delivered across the city in a few hours. Our concierge: Echo Zhu, chief concierge at the Peninsula. Perched at the edge of Kowloon, overlooking the lights of Victoria Harbour, the city’s oldest hotel has been serving up its iconic afternoon tea since doors opened in 1928. Eating and drinking: With a couple of days in Hong Kong, I suggest a meal at Yung Kee restaurant in Central. 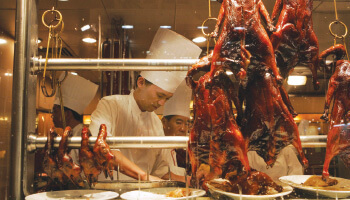 Its history goes back to 1938, and it’s famous for a local delicacy: roast goose. They serve almost 300 a day. Sights to see: In the afternoon, I highly recommend a guided tour of the historic Kowloon Walled City, where you’ll find ancient stone plaques, old architecture, and monuments. Something different: For nightlife, my picks include Stockton and Foxglove. Stockton is a whiskey bar in Central. It’s a bit hidden and might be hard to find, but as soon as you enter, the vibe is electric. Foxglove, also in Central, is another “secret”, speakeasy-style haunt. Hidden behind the doors of an umbrella shop, it serves some of Hong Kong’s classiest cocktails in a fabulous 1950s atmosphere. Our concierge: Ali Sungkar, chief concierge at The Windsor and member of Les Clefs d’Or Australia. The Windsor was built in 1883 by shipping magnate George Nipper and boasts views over the Treasury Gardens and Parliament House. Guests have included Laurence Olivier, Vivien Leigh, Anthony Hopkins, and Muhammad Ali. Eating and drinking: I often recommend Pellegrini’s, a real Melbourne institution that serves fresh pasta and excellent coffee. For a late-night drink, head to the Melbourne Supper Club across from Parliament House on Spring Street: lovely leather Chesterfield couches to sink into and cheese from their on-site underground maturation caves. Sights to see: The Melbourne Visitor Shuttle is a terrific way to see everything. It costs A$10 (RM32) for two days, stops at all major attractions such as the National Gallery of Victoria and Queen Victoria Market, and includes commentary and wifi. The City Circle Tram is another Melbourne icon. 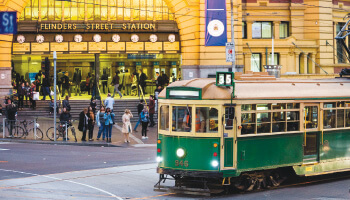 Its heritage W class trams loop around the central business district, and it’s free. Something different: The Dandenong Ranges are a favourite with tourists but the sculpture garden of William Ricketts Sanctuary, further up Mount Dandenong Tourist Road, is often missed. It’s a tranquil place with mystical human sculptures peering out from oversized ferns and is the life’s work of William Ricketts, an artist with a deep affinity for indigenous Australian culture.